Triples in Street? 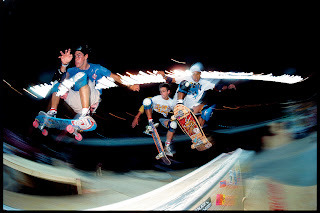 Left to right, Doug Smith, Mark Gonzales and Steve Caballero at Louisville, Kentucky NSA Contest in mid-80s. Photo: Brittain Print is available for purchase.